Reserve your 30-minute appointment at the Circulation Desk. You will be asked to fill out a brief form describing your problem. Please bring the device in question to your appointment. 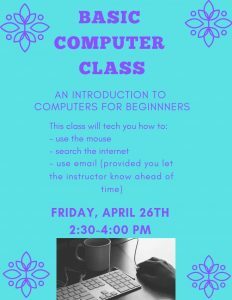 This basic computer class introduces students to using email. Please call the library at 302-645-2733 or stop by the Circulation Desk to reserve your spot.